In my last post I introduced the fire block. Now it is time to have a look on the ice block. The colors are cool, reminding of floating icebergs near the poles. This block put together with pieces from 2 different log cabin or better said courthouse steps block. I have finished the top, now I am waiting for the batting to arrive. In the meantime I have time to decide what kind of fabrics I shall take for the backing. Should I stick to the solids or get a fabric with a bright pattern? Anyway, I am happy with the result. This was my very first time that I worked entirely with solids. It was a pleasure selecting the colors, Kona solids are available in so many wonderful shades and hues. I have also finished one more MINI pattern : Happy Birthday Quilt for this little couch throw. In the meantime I shall work on a baby quilt – looking forward to work on something smaller!! 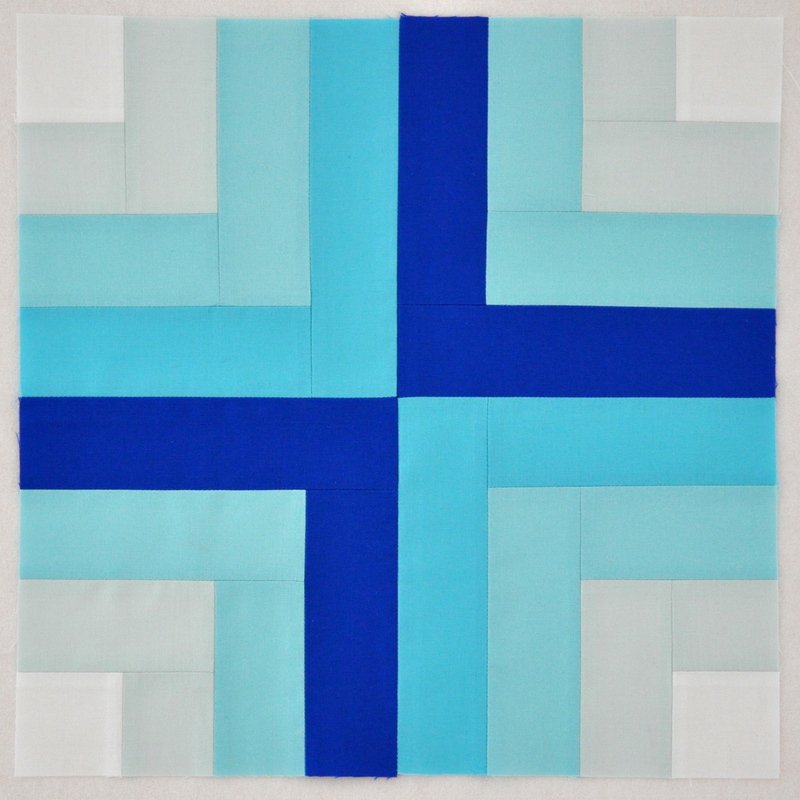 This entry was posted in patchwork, patterns, quilts and tagged block, Kona solids, log cabin, MINI pattern. Thanks Avis, I am happy you like the top. I think you are right about the solid backing. Now I need to choose the right color!! That is just beautiful. I think I would keep it simple with a solid color backing. Thanks for your comment and your suggestion for the backing. I think solid is the best solution as it is a continuation of the top.